Many times when we make a stock investment, or invest in a company we are not certain if we will have a gain or a loss. Such was the case with First Orion when author Charles Morgan made an investment into the company not thinking that he would be the one to turn the company around. In Charles Morgan book entitled ” Now What?–The Biography of a (Finally) Successful Startup” you are taken on the journey of an investor who grew a previous company into a billion dollar enterprise with over 7,000 employees, then sold off his interest. He then made and investment into First Orion and never thought he would end of running and turning the company around. As Charles states ” My involvement in First Orion began merely as an investor; then as various calamities ensued and numerous goals when unmet, I found myself sucked in further and further, until the founder was out and I was running the show-despite my silly protestations that I was somehow “retired”. If you want to learn more about how businessman Charles Morgan turned around First Orion, then I encourage you to listen to our podcast as well as get a copy of “Now What?” You can check out First Orion’s website by clicking here, and to learn more about the author please click here. 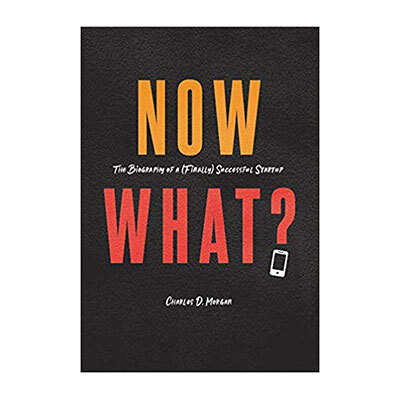 We hope you enjoy this interview with author and businessman Charles Morgan about his new book “Now What?–The Biography of a (Finally) Successful Startup.